Light Up Your Life With ESA"
"Seek the Treasures of the Sea"
"For All Things, A Season in ESA"
"ESA ... the Wind Beneath Our Wings"
ESA ... a Love Song"
Coleen Cape went on to become the 2004-2005 IC President with the theme: "Embrace the Power - Free Your Spirit"
As the 1980s began, the profile of the ESA member was a woman working outside the home, most of us came from a small town, and we were highly educated women. Thirty percent of us were professionals, 13% were in management, 11% were small business owners and 5.7% of us were in sales. ESA will make its first million dollars in a single year which was a fitting celebration for our Golden Jubilee held in Denver Colorado. The first man on the moon, Neil Armstrong will recognize ESA accomplishments with a signed Lithograph entitled “Nothing is impossible.” Six of the oldest active chapters of ESA are recognized in Denver that year. Three of them were from Kansas: Omicron, Salina; Iota Kappa & Iota Mu from Wichita. Our own Pauline Cowger, Omicron chapter will receive her 50 year pin. And Our IC candidate, Florence Ellis will be elected to the office of IC Parliamentarian. The great ladies that led the Kansas State Council in the 1980s were Joyce Mans, Jean Beetem, Judy Ary, Marilyn Herren, Geri Benton, Joan Bourn, Kay Ross, Verneene Forssberg, Shirley Campbell, and Coleen Cape. ESA discovers VOLUNTEER - The National Center for Citizen Involvement in the 80s. Volunteer promoted and developed volunteer sectors with expertise in citizen mobilization, leadership training, organizational development, network building, information exchange and public awareness. Kansas will establish the Kansas Roadrunner Volunteer program headed by Joan Bourn. ESA fits right into this dynamics as it recorded 639,106 hours and $1,989,287 in philanthropy in 1980. Members also helped their own to the tune of $43,650. Kappa Rho, Dodge City will gain recognition for their “Indian Harvest” festival which raised money for the needy and celebrated Native American heritage. In 1982, Doylene Freizen, Sonya Allen, Ceillia Miller, and Pat Hickok of Sigma Tau make history as they lead Zone 5 in a record breaking radiothon, raising $40,000 for St Jude. It was the highest amount raised for a radiothon and the fourth highest amount raised for a single St. Jude event. Theta Pi Jetmore will be recognized for distributing Lifesaver tags for children with information about the child in the event of an emergency. The Omnibus Reconciliation Act signed by President Carter will prohibit programs like Medicare and Medicaid from reducing payment to hospital which receive grants, gifts, and endowment not designated for a specific use. This made the money ESA raised for St. Jude and other hospitals mean more. It was in 1982 when Joan Friend, Plainville Kansas, who was serving as the IC Philanthropic Chairman, will announce that ESA reported giving $3,047,786 philanthropically. This same year the International Council will adopt Easter Seal as a second philanthropic project. Kansas was proud once more in 1983; Joan Friend will be elected IC Parliamentarian, taking the first step to the IC Presidency in 1988-89. 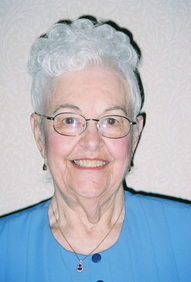 Joan Bourn will serve as Corresponding Secretary. We were equally proud of our Kay Foster as she led national efforts to support St. Jude as an IC St. Jude Circle of life coordinator. Kay will proudly announce to a cheering crowd of ESA Members that we had raised $10 million dollars for St. Jude. Verneene Forssberg will also serve two years as Membership Director at the national level in the 80s. In 1985 the PIPC auxiliary will recognize a Kansas Sister for 55 years of active participation. The Kansas delegation rose with pride at the IC convention as Pauline Cowger was given special recognition and an honorary membership in ESA by Mike Bums. This will be the same year ESA’s Dixie Palmer will pass away and Dixie Palmer Founders training seminars will begin for the purpose of forming new chapters. The ESA Foundation will continue to progress during the 80s with cosponsor ships and the first Perpetual Scholarship Endowments were established. Sue Peckham, Beta Epsilon - Frankfort and Charlene Hansen, Beta Theta -Horton will serve on the Board of Directors and on committees to aid in the growth of the Foundation’s projects. Anne Langenfeld a past Kansas President will devote 14 years to the progress of the Foundation. Although we had lost her to the New Mexico State Council by this time she was still a Kansas product. The motto, “Serving the World Community - Because We Care” will be adopted in 1989. Our relationship with the Institute of Logopedics continued to grow through the years with the membership contributing more in money and gifts in kind for the residential shower and classrooms at the Institute each year. Kansas will ask and receive approval to add Dr. Frank Kleffner to the honorary membership roles of ESA International. In 1985, the Adopt a child program was added giving members an opportunity to work individually with an assigned child. In 1987 the Kansas State Council broke ground on the ESA Court on the campus of the Institute of Logopedics giving ESA in Kansas recognition for their many years of financial and emotional support for the children of the JUL. ESA members in Kansas have had a history of participating in politics in the 80s as well. Enice Lesser, Zeta Phi in Junction City became the city’s mayor with a unanimous vote serving three terms. Kay Ross will become a probate judge in Plainville and continue serving into the 90s. Kansas was the first state to allow women to vote in municipal elections way before they had the national franchise so we consider ourselves ground breakers in the area of politics.